This speech was given by Kofi Annan on Wednesday 23 May 2018 at the National Electoral Institute of Mexico (INE) Headquarters in Mexico City, Mexico. Distinguished Guests, members of the National Electoral Institute of Mexico, Ladies and Gentlemen, it is a pleasure to join you today. Let me first extend my sincere appreciation to you for ensuring the success of the regional conference on electoral integrity that our respective organisations hosted last year here in Mexico. We will be presenting the final report of the conference on Thursday, which I hope will invigorate discussions across Latin America on delivering elections with integrity. It is also a privilege to be here ahead of what I understand will be the largest single democratic election process in Mexico’s history. On the first of July, millions of voters will cast their votes in over 155,000 polling stations, voting to fill more than 3,000 public offices at both the federal and local level. This is a fantastic celebration of democracy and – at a time of rising cynicism towards democratic values – a strong affirmation of citizens’ desire for democratic governance. However, I do not underestimate the challenges that you face in administering elections on this scale. Our conference of August last year highlighted the central role of competent, independent and professional electoral management bodies in delivering elections with integrity. You have the dual responsibility of ensuring that elections are conducted in a manner that ensures both legality and legitimacy. In an era of public scepticism and fake news, maintaining voter’s faith in the electoral process is a complicated and multi-faceted endeavour. This morning I had the opportunity to meet with the 11 members of the General Council to exchange views on the challenges to electoral integrity. Some of those challenges- notably security- go beyond the remit of an electoral management body and responsibility for addressing them lies with national and local authorities. 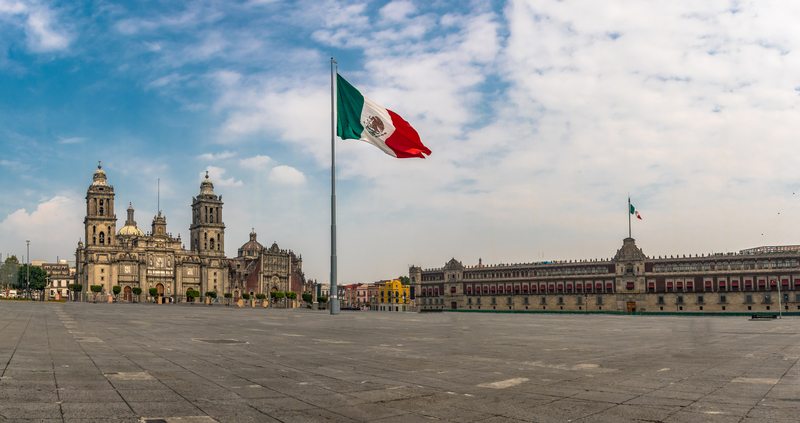 Here in Mexico, for example, you have to contend with high levels of violence and organised crime, which affect the lives of every citizen, whether or not there are elections on the horizon. As you know, dozens of politicians, electoral candidates, as well as the family members of political actors have been targeted and killed since the start of this campaign. Unchecked, criminal violence can pose a serious threat to democratic institutions and indeed to democracy itself. Good elections are the best answer to the violence that aims to deprive the citizens of their right to choose their leaders – national and local – free of intimidation. Elections provide a moment for citizens to come together to debate and decide who will lead them, and for what purpose, and to renew their commitment to the democratic ideal. The debate among citizens and with political leaders is crucial to building trust and confidence in law-making and law-enforcement. I commend your efforts to create the space for those debates despite the many difficulties that you face. Your work is a fine testimony to the remarkable resilience and determination of the INE staff and the one million citizen volunteers who will support the elections in July. I remain a committed believer in the value of democracy as a catalyst for better governance, greater security, and human development. The spread of democracy has been one of the most profound and positive developments that I have witnessed over my career. People around the world aspire to greater freedom and demand a greater say in politics. The transformative impact of democratic governance is evident even though it cannot always be measured during one electoral cycle. But the price of democracy and democratic governance is constant vigilance. Participants in the conference last year noted that according to the 2016 Latino barometer, support for democracy in Latin America has slipped for the fifth consecutive year, most steeply here in Mexico, while across the region, indifference to both democracy and authoritarianism has increased. I’m afraid this reflects recent trends in other regions too. Growing numbers of citizens in both mature and fledgling democracies either take democracy for granted, or doubt its merits. There is a perception that democracy is not delivering, reflected in lower levels of voter participation, falling membership of political parties and declining trust in politicians and institutions, all of which creates fertile ground for the rise of authoritarian leaders. There are a number of reasons behind the democratic discontent and the sense that democracy is no longer affording citizens a genuine voice in how they are governed, and by whom. The first is that political systems have not kept up with economic developments, creating high levels of inequality and a growing sense of economic disenfranchisement. Globalization has brought incredible changes, but its benefits have not been evenly shared; as wealth is concentrated, so too is political power and influence. History teaches us that such an imbalance between the economic, social and political realms cannot be sustained for long; for democracy to be effective, it has to be inclusive. By contrast, authoritarian regimes seem able to act quickly and decisively. This is appealing to many, particularly those living in poverty or in countries emerging from extended conflict who perceive authoritarianism as the fastest way up the economic ladder. Such stability, however, often hides deep and fundamental weaknesses that eventually prove unsustainable. Nonetheless, the allure of authoritarianism grows. Action is urgently needed to address these challenges; we must tackle both economic and political inequality and reach out to ostracised minority groups and the young to make democracy more inclusive. We must make democratic systems more effective, and more responsive to the needs of average citizens. And in the face of growing cynicism towards democracy, we must not yield but defend and champion the values and virtues of democracy. There is however another serious challenge to electoral integrity, which I would like to mention today, in part because it is a relatively recent one. As new communication technologies and social media platforms play a growing role in our everyday lives, democracy is becoming increasingly digitised. The early implications of this trend in terms of citizen emancipation, empowerment and education were greeted with a wave of euphoria and enthusiasm, which has since given way to deep suspicion and concern. After witnessing their potential impact, authoritarian regimes have sought to harness technology and social media to deny political rights and oppress citizens at home, and abroad. In mature democracies, the open exchange of ideas through social media has been constrained by ideological echo-chambers which exacerbate biases and diminish opportunities for healthy debate. Recent revelations have highlighted the vulnerability of the individual voter in the age of big data, and left many wondering whether technology is now a threat to democracy, not its saviour. Like many countries, Mexico has been grappling with these issues. Since the beginning of your campaign cycle, fake polls, misleading information and malicious rumours have been spread by online agitators within and outside the country. Accusations and denials are flying around, increasing uncertainty and tension ahead of the vote, undermining trust in information and institutions, and ultimately, diminishing democracy itself. I read with interest the outcome of the conference that the INE organised with the National Democratic Institute last month on tackling disinformation, and I am reassured by the concrete steps that you are taking to work with the media and technology platforms to ensure accurate information about the election process reaches voters. I also welcome the specific memoranda of cooperation that you have signed with the main social networking platforms such as Facebook, Twitter and Google, which cover a range of activities and innovative approaches to engage voters in the electoral process and political discussions. Independent initiatives, such as the media-led Verificado 18, are equally important. Despite these efforts, governments, civil society groups and technology companies are struggling to keep pace as political contenders and spoilers seek to exploit social media for their own advantage. And while mature democracies often have robust, competent and professional institutions to rely on, imagine the vulnerability of less developed countries with weak institutions, weak rule of law, and where the values and ethos of democracy have only recently taken root. In 2012, I convened the Global Commission on Elections, Democracy and Security to identify and tackle the challenges to the integrity of elections and promote legitimate elections. But the concerns that I have just expressed were not on anyone’s radar screen five years ago. That shows you how far and fast technology and its uses have advanced. This year, I intend to convene another panel of eminent experts, former political leaders, and members of the technology community and civil society to consider how digital technologies are both strengthening and undermining the integrity of the electoral environment. Amongst the questions I will ask them to consider are: What are the opportunities that digital technology offers citizens, and especially young people, to engage in democratic processes? How can governments, civil society organisations and other bring increased transparency and accountability to the use of technology in elections? And; How can we protect the integrity of information in electoral processes? My aim is to develop and propose policy recommendations that can be acted on by a variety of electoral stakeholders; I am sure that there is much we can learn from your experience in this area. Ladies and gentlemen, I alluded earlier to the role that volunteers will play in Mexico’s forthcoming elections. More than one million citizens will serve in polling stations, tabulate results, or undertake voting observation missions. Clearly, citizens’ aspirations for democratic governance and democracy’s fundamental values – equality, inclusion, accountability, and transparency – remain as attractive as ever. Nevertheless, new challenges will emerge, new technologies will be invented, communities will evolve and whole countries and regions will be re-shaped by great and sometimes unforeseen global events. And so democracy, just like society in general, will always be a work in progress. I believe, however, that democracy will remain the system best suited to protect and deliver peace, development, human rights and the rule of law. Electoral management bodies – here in Mexico and around the world – are the guarantors of electoral integrity which is the foundation of democracy. But they cannot succeed alone. Political leaders, civil society and ordinary citizens must play their part and hold true to democracy’s values and ideals. Thank you again and please accept my best wishes as you prepare for the great electoral challenge that lies ahead.